Feel like you’re seeing more and more video content on your social feeds lately? You probably are. Forty-six percent of respondents in Hootsuite’s annual customer survey said they’re already using social videos, and another 26 percent plan on starting this year. And according to Kenshoo, spending on social video advertising grew by 130 percent in 2017. To take advantage of this growing trend, you need video footage (obviously). But that can be complicated and costly to produce. So we’ve rounded up a list of places you can get free stock videos to use in your social media content. Pixabay offers over 1.2 million images and videos, all released under Creative Commons Zero (CC0) License. That means you don’t need to get permission or give credit to the artist to use or modify the content, even if you’re using it for commercial purposes (but it’s still best practice to always credit the owner). Pixabay has a great collection of HD stock videos, whether you’re looking for a quick 12-second clip of someone typing or a minute-long shot of future earth from space. Pexels began as a free photo site, but has since added a large library of free HD stock videos. And true to their name, all videos on Pexels have enough pixels to look great on any screen. Their collection is also under the CC0 license, so you can edit and use the videos for personal or commercial purposes without asking for permission or linking back to the original source. Use their list of popular searches to find the most in-demand stock videos. Videvo offers free stock video footage as well as motion graphics created by their community of users. The clips you download from Videvo will be licensed in one of two ways: either through the Videvo Standard License or the Creative Commons 3.0 license. Videos under the Videvo Standard License can be downloaded for free to use in any project, the only restriction being that you don’t make the clips available for download anywhere else. Those licensed under Creative Commons 3.0 can be used in any project but credit must be given to the original creator. You can find licensing information on the download page for each clip. Life of Vids is a collection of free stock videos, clips, and loops from Leeroy, an advertising agency in Montreal, Canada. There are no copyright restrictions, but redistribution on other sites is limited to 10 videos. To download a high-res version of any video on the site, click on the Vimeo logo in the bottom right hand corner of the video player and you’ll see the “Download” button. New videos are added weekly, and they’ve got a beautiful collection of free stock images you can check out as well. Splitshire was created by web designer Daniel Nanescu, who wanted to offer his photos and videos free for personal and commercial use. The fact that these photos and videos were all created by one person makes them more unique than content from other stock sites. The videos are primarily drone footage of beautiful outdoor scenes, and you can download them by clicking on the title below each video. You’re free to use them across all your social media channels, but you can’t sell them or use them in projects with inappropriate content such as violence, racism, or discrimination. For an ongoing supply of free HD videos, check out Distill. It’s a collection of carefully curated stock footage, made for creatives by creatives. Just submit your email address, and you’ll get 10 free videos delivered to your inbox every 10 days. Since the clips have been handpicked by a team of creatives, you’re guaranteed to get video footage that will help you stand out on social. With new videos added every day, Stock Footage 4 Free has a wide range of video footage you can use on your social networks. Sign up with your email, and you’ll have access to their entire collection of professional stock videos. They all come with a royalty-free license, meaning you can use their clips without any fees. The videos on Stock Footage 4 Free are organized in categories, making it easy to find a clip that will fit your brand. Categories include construction and energy, nature and animals, mansions and wealth, international locations, and more. Videezy has a large collection of video clips that are royalty-free for personal and commercial use, although they do ask that you credit Videezy.com when using their footage. However, you can also buy credits that will allow you to use footage without attribution. There’s a wide variety of high-quality video clips to choose from, in both HD and 4K resolution. When searching for videos, any results marked with “Pro” are premium clips that are only available by paying with credits. Videoblocks has a huge collection of aerial footage, time lapse videos, and standard B-roll clips of various environments and situations. You do have to become a member to download videos, but during your 7-day free trial you can download 5 files. The search fields make it easy to narrow down your results and find the perfect clip for your project. There are new videos added on a weekly basis to the Vidsplay collection, which makes it a great resource for keeping your social video content fresh—and you can download and use any video without paying royalties. To download a video clip, right click on the download link and then choose “Save Link As.” If you’re using your phone, just press and hold the video clip to download it. So you’ve got some amazing (and free) stock video footage. Now what? 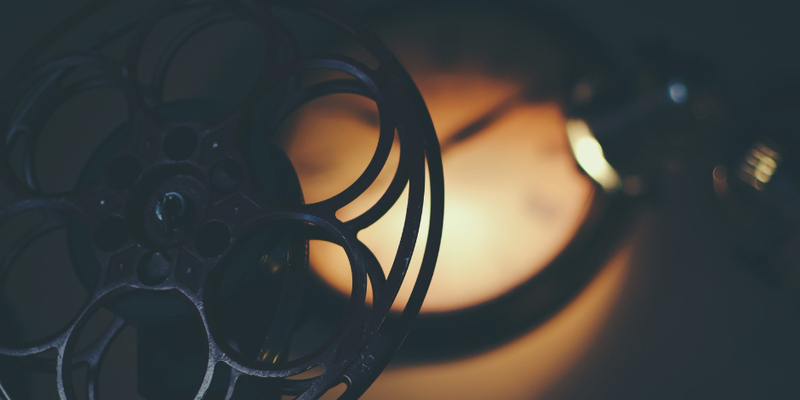 Check out our 10-step guide to creating great social videos. Once you’ve created your social videos you can use Hootsuite to easily upload, schedule, and promote them across multiple social networks.